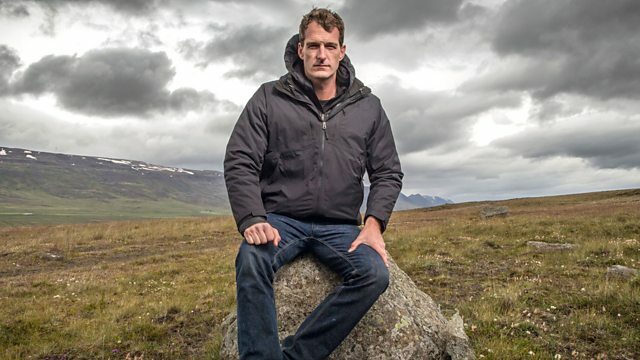 Dan Snow uncovers the lost Vikings in America with Dr Sarah Parcak. As Sarah searches for Vikings across the Atlantic, Dan explores their journey 500 years before Columbus. Browse content similar to The Vikings Uncovered. Check below for episodes and series from the same categories and more! in the days before the Norman Conquest. -Whoa! That is a sword cut into someone's head. but how far did these seafarers voyage? The Vikings are still a mystery. Now I want to shine a light into the Vikings' dark past. with world-renowned satellite archaeologist Dr Sarah Parcak. It screams, "Please excavate me!" some 500 years before Columbus. of the entire Viking expansion. than any European had ever done before. Lovely! That reindeer droppings are really cutting through there. just how closely related to the Vikings we are. I hate to admit, but we are probably the same species as the British. to settle in the New World 1,000 years ago. This is a very good day indeed! It would just be really good to have the dates work out. Lerwick on the Shetland Islands. Every January, it hosts Up Helly Aa. One of the most colourful celebrations of our Viking past. they do convey an amazing impression. -Three cheers for the Guizer Jarl. Hip, hip! The Vikings arrived here in their longships 1,200 years ago. and explored the North Atlantic. We are more Viking here than Scottish. Aaagh! I know who I am. still comes from comic books rather than history books. No real Viking ever wore a winged or horned helmet. what other myths are there left to explode? most heroic and notorious characters. and this is the oldest surviving text that we have of this saga. the Vikings' own stories, written down by their descendants. So, this is 700 years old, this book? to a place west of Greenland. and it's an incredibly lush place, absolutely teeming with wildlife. So that's how, according to this saga, North America was discovered. -here it is, in this manuscript, right here. may actually have been British. and the other with a vine in their hand. Wild vines. Is that where they get the name Vinland from? So, where in North America could Vinland have been? archaeologists made the remarkable discovery of a Viking transit camp. ..but the sagas don't just talk about one camp. They describe other settlements elsewhere. So, what does it say about other stories in here? I mean, there must be a lot more to find out in North America. and they were there for several years. They had a whole new world to explore. So, there may be some archaeology out there? There may be some archaeology out there. and then there's the promise of more sites in America. and find those lost Vikings? ..in the lab of the world-renowned space archaeologist Dr Sarah Parcak. and building material beneath the surface. And lo and behold - the map of a whole city. but this is uncharted territory for her. After all, her speciality is Ancient Egypt. you have a vast empire across a vast ocean. Also, the Vikings lived in farmsteads. they simply didn't leave a lot behind. Sarah will have to adapt her methods. in surface vegetation that only hint at what may lie beneath. All from a camera 383 miles above the earth's surface. I can't wait to find out what Sarah's discovered. ..but the Holy Grail is North America. on the eastern seaboard of Canada. So, let's go into Newfoundland. is at the northern tip of Newfoundland, at L'Anse aux Meadows. So, if you believe the sagas, that might just have been a transit camp. Would they have had something more permanent somewhere else? Where are these other places? looking along the entire Labrador coast. We looked up every single river. It's like looking for a needle in a million haystacks. Tens and tens of thousands of square kilometres. ..and this very interesting site appeared in Newfoundland. all I saw was a dark stain. -..and I almost discarded it. ..that rectilinear structure shows up very clearly here. but you can see actual internal divisions. -It's 22 metres long and seven metres wide. The exact same size as the long houses at L'Anse aux Meadows. that merits closer examination and excavation. I mean - its size, its shape - it screams, "Please, excavate me!" the furthest known western point of the entire Viking expansion. it feels like you've got a front row seat at the making of history. and now I can't wait to put my boots on and get out there on the ground. even further west than anyone has ever thought. across the North Atlantic from Britain to North America. when we get this beast up the top of the mast. on an exact replica of an 11th century ship. There is one concession to modern convenience. meant these people were no longer confined to the shoreline. They were now masters of the open oceans. and this kind of ship is so iconic. of European maritime exploration begins. including goats and cows, up to 2,000 miles. It's a lot more responsive than you'd think, looking at it. it's responding to the sea, it's great! but it's still fit for purpose today. over reindeer droppings, so it has a little tang to it. That reindeer droppings are really cutting through there, very nice. -And then we a have dried cod. -even in a big wind on this foredeck, I can smell it. Oh, yeah! It's like gnawing on a bit of canvas. it could last for weeks, or months, even. But the Vikings didn't just design ships to ply the open seas. when and where they wanted. is that it's a really flexible construction. shows me what made the longship the ultimate attack weapon. -The whole thing is just twisting like this. You can just see the ripples going down the hull there. into the turbulent Atlantic in search of riches. The first place ripe for plunder was the unsuspecting British Isles. the Angles and the Saxons. This is the familiar story, but is it true? to support that view of how they acted. that takes us back to Viking shock and awe. the Celtic peoples of Scotland. he discovered the first Pictish monastery underneath this church. We've got some reconstructions here, on here. -It's quite a substantial settlement, this. They're very busy, very wealthy. It's almost like a town, it's thriving. across the Channel and so on, a really important place. And they were coming for the treasure. Church silver inlaid with precious stones made by the monks. For the Vikings, this was a jewellery shop ripe for a ram raid. -you see the little studs there? -These kinds of things here? Yeah, we found some of those. This was the kind of thing being made? -The kind of thing they were making. and the amount of enthusiasm that was involved. -You see the cut mark of the sword there? -That is a sword cutting somebody's head? -That is a sword cut mark. The cuts are being made on the top of the head and behind the head. He must have been, not only attacked from behind, but kneeling. Bang, bang, bang. Three cuts. and wiped out a flourishing, wealthy monastic site. That day it brought fire and death. That day it brought the Vikings. Soon, the raiders would return as conquerors. on their journey west across the Atlantic. On the other side of that ocean, Sarah is making plans. she still needs to convince the authorities to grant permission. Step one is non-invasive surveys. what might be buried beneath the ground. What we do is called ground truthing. she sets out to learn what a typical Viking site in America looked like. and sailing by icebergs the size of a mountain. Birgitta Wallace, is there to meet Sarah. and they are divided into four complexes. Up to 90 people lived here. Each building had a different function. It consists of a smelting furnace for iron. Metalworking was crucial evidence that this was a Viking camp. No-one else living in this region at the time produced metal. for when Sarah gets to dig her site further to the south-west. This is the first time I've seen turf houses in person. on each of the houses and sheds. is you can get any piece of turf to fit together. And there's one other major clue from L'Anse aux Meadows. It reinforces the account of Leif's voyage in the saga of Erik the Red. The most exciting was the finding of three butternuts. They grow in exactly the same areas as wild grapes in New Brunswick. and named their country after them - Vinland. 400 miles to the south-west. Could it really be one of the lost settlements of the mythical Vinland? Well, we'll have to see what we find when we dig! in their quest for new lands. with names as vivid as Ivar the Boneless. rampaged across the country causing chaos and destruction. and prepare for the next season's campaign. It was the religious epicentre of the Anglo-Saxon Kingdom of Mercia. ..and it's probably pretty ropey. started out looking for Anglo-Saxon remains. It is about 30 years since I've been up here. in the history of the Vikings in Britain. and I hope I don't go flat on my face. No. We've done it. Out into safety in the bright sun. -The great valley of the Trent. -And we are as far from the sea as you can get in the UK? in the grounds of Repton School. and came back and stopped against the east end of the church. closed off by the river. -Let's see what we can see. Something modern on the top of the tower. So that is a serious camp. The ditch is about four metres deep, about five metres wide at the top. these are Vikings with huge armies marching right in. Nowhere is safe. The threat wasn't just a military one. ..but the invaders didn't have it all their own way. Do we know anything about what the English were able to do in return? because of a marvellous grave we found just down there. We couldn't understand it, cos it seemed to have three legs. It didn't have three legs. -and a silver hammer of the god Thor. The Vikings left their pagan mark all over this holy Christian centre. In the vicarage garden, Martin discovered a mass heathen burial. We took photographs at every single stage of this operation. -Those are the bones in the eastern compartment. and they were stacked beautifully. like a medieval charnel house - a bone house. carried back to be honoured in secure Viking territory. Over 260 people, 80% male. They're mainly young adults, no children. It's a very highly-selected population. They have been reburied here around somebody. from a 17th century account by a gardener who'd disturbed the burial. -He found "the skeleton of a humane man nine feet long." "with their feet pointing towards the central grave." Martin thinks the giant was a war leader. We think it's the burial of Ivar Beinlausi. who is one of the most famous Viking commanders. after ten years of campaigning, for the last time. on the Atlantic fringes of Scotland. on the ground, before she's allowed to dig in America. on the tiny Orkney island of Auskerry. from our team on the ground. that this was a potential long house. -Unfortunately, it turns out this is modern peat cutting. Yeah - you know, all is not lost. in a place already known for artefacts from the late Viking era. And something very cool has just come up. This is a place called North House in Shetland. Here we have a modern farmstead, but take a look at that! That is very interesting there. Is this the modern settlement? But you cannot see this at all, visually. That is very interesting... Is this the coast here? -Yeah, this is the coastline. -So, again, right on the coast. Viking material culture there already. to find out what's there, or what isn't. Sarah is joining her team, who've already been digging for a week. I'm hopeful that we could potentially find something Norse. I can't wait to get my hands dirty. -Thank you! How's it all going? Archaeologist Rick Barton has started the dig. there is a lot riding on this for Sarah. It looks like a wall. That is a big wall. -Yeah, yeah. OK, are you ready? That's that curvy bit, so the edge is right here. has proved itself on Sarah's greatest challenge. It has found something as small as buried walls. But is this a Viking site? -you can see where the thread hole goes through it. it's made of the semiprecious stone carnelian, possibly from India. These people weren't just expanding west. They were trading east, too. Look at that - beautiful! -I think there's a pint in store. about what we may find in Iceland and in Newfoundland. I'm exploring what the Vikings did next in mainland Britain. the Viking name for York. later known as the Danelaw. and manufacturers in the first industrial revolution. in their most prized possessions. That looks like it's brand-new! the Vale of York Hoard. It's just mesmerising, isn't it? but it also reveals what else made the Vikings tick. If they couldn't steal it, they'd trade it. We have coins that come all the way from Uzbekistan. -They're struck in Samarkand in Uzbekistan. what are known as dirhams - and, so, that's just amongst the coinage. and this fragment of brooch here, which is likely of Irish design. -Yes, all on one tray. It's quite fantastic, isn't it? but clearly it was going on back then. People and things were travelling over huge distances. And this isn't Viking York's only buried treasure. it's a rather more base material found beneath its streets. and probably at least three metres of that is human excrement. Wow. And what can excrement tell us? It tells you about diet, what people were eating. Andrew is a scatologist. He studies poo. of his favourite specimen to the tea shop. This is the best-preserved piece of ancient mineralised excrement. It's the largest individual stool we have ever found in Europe. Some people call it the crown jewels of British excrement. The poo reveals the rich and diverse diet enjoyed by York's citizens. -that have been cooked, a bit like a rice pudding. not just ingredients, so that's fantastic. The Vikings of York were living off the fat of the land. Loads of fish, very large numbers of birds. Now, the big things on diet, of course... Moo! -..cattle bones. There's a lot of beef. that were brought into the market for slaughter here. So, that suggests there was a lot of food around. But it also had many thousands of parasite eggs. including the corner of your eye. They're a fact of Viking life. if it's going to make you a bit sick and it's covered in poo? it was the capital of Viking England. and where the powerful people were. that sent ripples out across the rest of the British Isles. across the North Atlantic in their search for new worlds. and it provides the final test for Sarah's technology. and most Viking dwellings in Iceland. from space will be tough. is Viking expert Dr Doug Bolender. that we've done in Iceland. So, I'm quite apprehensive. but he's sceptical about what Sarah might be seeing in North America. I mean, it could be a small raised section of rock or sand. we're really good at making them up. that looks like a rectangle, it looks like a structure. and, about those, I'm extremely suspicious. For Sarah, this is her biggest test. she may have a chance in America. We focused in on one area in particular. So, yeah, we've got a series of fields. but it looks completely homogenous. all of a sudden some really interesting shapes started popping. is that it looks like there is something here. The size looks about right. It is at least suggestive of something like a farmstead. this would be the place that I would want to see something to go after. something is showing up there. in Iceland and confirmed it, so I couldn't have been more thrilled. to sail to Iceland, so I want to explore how they made it. Very tiring. Got to sleep when you can when you're at sea. Keep you going through the night. Voyaging across the North Atlantic is fraught with uncertainty. at guessing where land was, using subtle clues. or the pine trees you can smell before you see the land. it could be reflecting wave from the shoreline. -and actually hit the landfall they wanted. some of them way ahead of their time. When the noonday sun casts a shadow onto the line, it gives a bearing. -and now I know where north and south is. and we were three degrees off when we got there. Do you know are there any other tools that they would have used? and one of them that we've tried is Icelandic feldspar. even when it's hidden behind a cloud. Then you're pointing right at the sun. ..then you're pointing this side straight to the sun. Spending time on this replica Viking ship has opened my eyes. It has taught me a huge amount. but of navigation, as well. in the middle of the North Atlantic. other Viking pioneers were arriving in a new land. for the next stage of the quest. arrived here after he was banished from Norway for murder. has a surprising British twist. looked into the origins of the Icelandic settlers. picked up slaves and went up to Iceland. So, we decided to examine that story. but that two-thirds of women were from the British Isles. picked up women and went up to Iceland and settled down. it looked to me like they took all the pretty women with them. -So, most of the men who came here were Norwegian. What about the other men? Who were they? They were probably slaves that were caught in Britain. So, even more British and Irish. -between modern British and Irish people and Icelanders. we are probably the same species as the British. So, if the sagas are right, are the satellites, too? Sarah thinks she spotted from space are really there. But you're pretty sure there will be something here? Is it Norse? Is it something else? Is it ANYTHING? well, we're not going to find anything in North America, are we? We're not going to have a leg to stand on. You have to deliver North America. Come on, that's why we're here. That would be so exciting. at their site in Hegranes, North Iceland. This is the spot Sarah identified in the satellite imagery. Does this field really hide a settlement? -Would you like the honours? The Once and Future King! The turf blocks often contain telltale layers of volcanic ash. I'm seeing some white there. Yeah, you are seeing some white here. So, we have more tephra in this. -So, this is volcanic ash here? Each of these thin layers gives an accurate age. Every Icelandic volcanic eruption can be precisely dated. -which in all likelihood is from 1300 AD. But you can see immediately those are in the wrong order. Here we have 1104 on top of 1300.
when they were building the building. -the turf itself is just under the surface about ten centimetres. So, it's definitely affecting the plants that are on the surface. on the surface and that's visible from space? the team has already started digging one up. which you indicated on your satellite. So, she is completely right. The satellites are right. They delivered. Yes. On this one, they sure did. A section cut within the wall offers further clues. You can see the striations of the turf in here. It will be a useful guide for Sarah to look for in North America. So, this is Sarah's wall? Is that exciting, Sarah? and here, too, we're dealing with about 15 centimetres. so it can be detected from space. So, that's a really cool thing to learn. that has come up with evidence of human activity. and every blob shows a buried building beneath the surface. Here, at this site, in this vast landscape, we've had a big win. what's left to find in North America. the most westerly settlement discovered so far. So, we're both going to take a crash course in what to look for. made nails to repair their boats. Do you think I can try and make a nail? to make repairs to their ships. Without them, their expansion would never have been possible. from a source known to the Vikings as bog iron. that she might find in America. -So, here we have a bucket of the actual iron ore. It's full of impurities, basically. to get better iron from the ore.
and the waste product, slag. at the bottom of the furnace. this is actually what you might find from the hearth. I don't know if we'll get that lucky this season - but one can hope. where they actually work the iron. And you can test it to see the iron content of it. -Oh, yeah. Look, it just jumps right on. you get a large amount of slag and by-products. Oh, I can really feel it in the old shoulder already. A master blacksmith could make a nail in under a minute. There we go, look at that! Now, the all-important head of the nail. It's not the best nail I've ever seen in my life. That's what supposed to look like! that would go into iron production. for a possible Norse site in North America. the next step in the Vikings' epic journey west. I'm meeting up again with saga expert Dr Emily Lethbridge. This is the site of oldest parliament in the world. because it's like a parliament chamber, almost? The sound bounces off the sides. It is an extraordinary natural amphitheatre. It isn't just the acoustics that make this place special. -the North American and the Eurasian tectonic plates meet. -So, this is the fault between the two of them? -This is the fault line. -We are. One foot on two continents. on the actual divide between the two? Each year in June, chieftains from across Iceland would gather here. -in fact, this is very sophisticated. -who had broken all of the rules. -You were sent away from Iceland? for the period that the outlawry stood. the murderer Erik the Red was banished again. and then make a permanent settlement there. he decided to start his own colony somewhere. to see what they could find. entrepreneurial spirit of these people that drove them on. Erik the Red turned the shattering blow of exile into an opportunity. and for Sarah to finally join her team in North America. after many, many months of looking at satellite imagery. At last, the news finally arrives. at the site in Newfoundland. I really had no idea it would be this dramatic. Absolutely no idea, at all. The search for the Vikings is about to reach its climax. bear fruit at Point Rosee? prove to be the most westerly Viking settlement ever discovered? Could this be where Leif Erikson beached his ships 1,000 years ago? After three days of digging, they have yet to find anything. Oh, yeah. Looks like there's a whole layer of it down below. they think they've found something. It's very sandy, it's yellowish grey. It's not a man-made deposit. with only two weeks to dig. of all the Viking colonies. was a Viking homeland for 500 years. even though it's covered in ice. that this water is absolutely icy cold. my life expectancy would be... a few minutes, at best. in the Uunartoq Fjord of South Greenland. This valley was noted as a potential Viking site 80 years ago. but today we're stepping out again. Look, there. There you have the first ruin. at least. That's a good thing. -Is this it? You think this a site? -Yes, this is a site. Now we just need to find the farmhouse. We've discovered a Viking settlement site! That's very exciting. It's in a very dramatic place, as well. -It's an amazing setting, isn't it? -You see all the stones sticking up at the surface? so I think we have a farmhouse. coming to a new site, finding all the ruins. so it's always a big surprise for us. Well, there's some darker soil here, now. from perhaps 1,000 years ago, with soil scientist Ian Simpson. Yeah, I mean, it's great. -and that's what keeps you going through the winter! I'm getting into this, despite midges the size of Viking longships. Hold on - a big piece. Oh, yeah. Where did that come from?! -Look what he has found, this guy is good. Brilliant - and that's easily datable. -The carbon lab will be very pleased with that. -We can work with that. as they are able to confirm this was a Viking site. to the world's understanding of the Vikings. that might have led the Vikings here. that drew the Viking pioneers to settle in such a remote place. that was aimed at European markets to begin with. and exploiters of natural resources. So, they weren't just desperate men on the fringes of civilisation? and they settled all the best places from the beginning, it seems. constantly pushing the frontier forward. and they may finally have made a breakthrough. Oh, that's a good sign. inside the feature Sarah spotted from space. We have quite a large boulder. It's cracked. to crack a boulder this size. Could it be evidence for metalworking? Then Sarah finds what looks like a man-made fragment. So, this looks like metalworking by-product - the head of a nail. Hopefully, the first of many, many things we find. ..and we've found this just now. ..and there's dense amounts of metal and evidence of fire that's there. and now we have metal production. Day nine, and the ground keeps giving. You've got copper pieces and little bits of iron inside it. So, this is very, very heavy. and it's not the only potential evidence turning up. They're even finding organic material. It's a good sign that it's floating. it's our first thing that we could do radiocarbon dating. that matches the Viking era. With the emergence of these finds, Sarah is calling in reinforcements. I'm still stalking Erik the Red's son Leif. he blazed a trail through America. I'm joining Sarah in Newfoundland hopefully to find out. but the metalworking finds keep coming. in this story. I feel really lucky. is the most westerly Viking site ever to be discovered? so Dr Doug Bolender is also on his way to assess the finds. what the Norse were doing in North America. to walk out into a place that has the potential to change history. where no-one else spotted them. then she may be on the verge of another world-beating discovery. just cos it was so covered in muck. And we started finding slag up here. Dense, dense concentration of slag here. and so the question really comes down to, who is doing it here? And it doesn't look totally unfamiliar. that you often see for ironworking within Norse contexts. you've got evidence of somebody doing something on this spot. and it would make it much more clear. she first spotted from space. Doug now wants to open up the feature itself. making the hour-long trek to Sarah's site at Point Rosee. If Leif Erikson came here, he did so just after the first millennium. Around the same time that a Viking, Cnut, became king of England. It marked the peak of Viking expansion in Europe and America. Am I now on a path once trod by the Vikings? -How are you? What have you found? -This has been a very exciting couple of weeks. It's a good time to turn up. may be emerging from the ground. Do you think it's telling us anything, this surface? Yeah, indeed. It looks like there is a great deal of structure. what are these black bands here? that have been put and cut and placed here. There are actually sheets of turf that are here. So, someone's made a wall using turf? Who would do a thing like that?! So, you've dug turf walls all over the North Atlantic, right? we need to do a little bit more digging to figure out. ..you picked up something that's actually here. Doug arrived a sceptic, but he's converted to the cause. You sort of have to explain that away. I wouldn't think twice about what was happening here. is that it's in Newfoundland. I'm feeling very excited, I'm feeling very good. and they found what looks like a furnace and the wall of a building. Now, as far as I'm concerned, that's a Viking settlement. was there, and he said it looks like Norse turf. but proof will come from the metalwork and from ageing the site. So, the seeds are sent off for radiocarbon dating. We're hoping for anything around 1000 AD. The metalwork is also on its way. for the results to come through. to what is now North America. It would be astonishing to finally have the dating proof. Two weeks later, the dates have come through. and I'm about to find out one way or the other. Just waiting. The waiting game. It's like D-Day. I'm feeling a little nervous. How are you doing? if the dates are good, I'll be happy. Yeah, if they are bang on, it would be amazing. It's a lot more recent. Which makes no sense, given what we have. I mean, there's no way that this is a modern site. You saw the conditions at that site. You know, lots of mixing. especially with the amount of water that was there. That berry... Those berries were not from a particularly strong context. through the layers over the years? Yeah, or you know, things could have been exposed. don't match the archaeology, at all. -I still believe in you. Don't worry. I agree. Everything else screams "Viking". are these dates the full story? In the past, I've worked with her to discover iconic monuments. she has found buried structures in Scotland and Iceland. The evidence on the satellite image of Point Rosee looked convincing. just doesn't tally with the dates from the seeds. Doug doesn't see it as a setback. about the potential for radiocarbon on the site. are not very closely associated with the actual activity. that's at the upper levels of this feature. and we'll now double-check every other finding. because I don't know what else it could be! So, Sarah assembles a crack team. It's our last chance to prove that Point Rosee is a Viking site. will analyse the metalworking debris. -It looks like they're mostly quartz. He'll work with a world-renowned laboratory at Aberdeen University. could have forged metal at Point Rosee. to ask about more recent settlers. When did the first settlers arrive? but the first settlers came in the early 18th century. So, would these settlers have been making their own metal tools? I came across no evidence of that. and it describes the account of an officer on the Lark frigate. He mentions furs, he mentions the fish, he mentions timber. There isn't any mention here of mineral resources. how can we explain the evidence of metalwork? which is the only confirmed site of that vintage. and your site is in the Gulf of St Lawrence. for the Newfoundland Point Rosee site. the emergency team has sifted through all the evidence. It's yet another nail-biting moment. Well, some of the leads we had didn't turn out like we hoped. there were Vikings on Point Rosee in Newfoundland. So, a lot of it has come down to today. This is a high pressure situation! We're going to talk to Tom. we can still save this project. and then the last thing we analysed were these lumps of slag. but actually this is a stone. -this is over a billion years old, basically. ..but it doesn't tell us anything. -What else have you got? -The hammer scale isn't hammer scale. These are little bits of iron oxide. -..turns out to be nothing, as well. -OK. So, we are zero for two, at the moment. the waste product from the metal refining process. then we're well and truly stuffed. -The smithying slag isn't smithying slag. But it is bog ore. Bog iron ore. OK.
-And there are some very interesting things about it. to drive off the impurities. The point is, this is being processed for something. So, this is evidence for metalworking? This is evidence for metallurgy. Now, the only reason you roast ore is to later extract iron from it. Sarah, this is pretty exciting right? ..apart from the Vikings. That sounds good to me. So, it's got to be Viking! This fragment of bog iron ore is the proof we've been waiting for. Viking pioneers like Leif Erikson came to Point Rosee. we've seen on our journey across the Atlantic. is still out there to be discovered even further to the west. Finally, we can all celebrate a breakthrough! -I'll drink to that! Cheers. Without my incredible team, I wouldn't have been able to do this. I'm right here, Sarah. I'm right here. -that you will be with me on every adventure. Hey, and here's to more Viking sites. Let's make Doug's life a misery over the next few years. and something that's brought people together. but, you know, it's actually always the person you least expect. in which we can be certain. in our understanding of the Vikings. may be the beginning of an entirely new chapter.